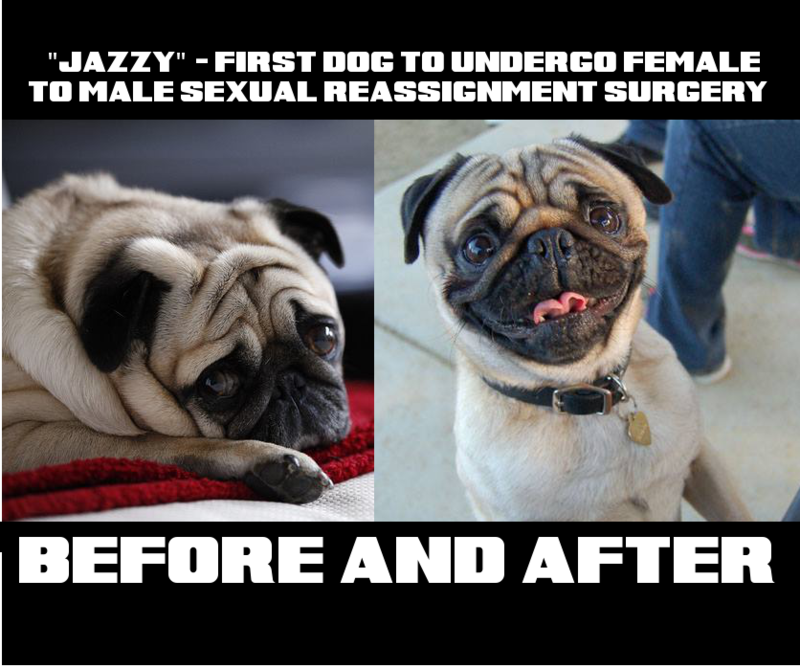 (Long Beach, California) – When Charlene Walker adopted her pug, Jazzy, from a local pug rescue, she was elated to be bringing home the newest addition to her family. However, almost immediately after they arrived home, Charlene began to notice that there was something peculiar about her cuddly canine friend. “Whenever we took Jazzy to the dog park she would only play with male dogs whereas she always attempted to mount other female dogs. At home, she was very despondent. She seemed to be trying to communicate something, but I just couldn’t understand what it was.” That’s when Charlene chose to take Jazzy to Holistic Veterinary Solutions, in Long Beach, California. Holistic Veterinary Solutions is known for being a state of the art veterinary practice, yet they have also gained a somewhat questionable reputation for administering unconventional medical treatments. Some of these services include acupuncture, massage, chakra cleansing and past-life healing for animals, along with several other scientifically unfounded therapeutic procedures.